My grandmother would be so proud of me lately. She would have turned 83 on Saturday. 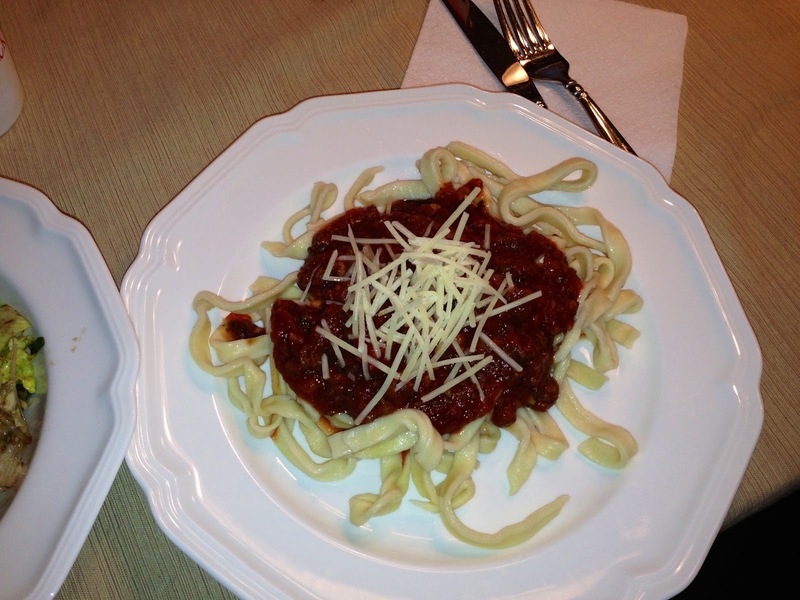 A few weekends ago when I was visiting my sister, she and I made pasta bolognese. To be fair, she made the bolognese but I helped with the pasta, using my grandmother's pasta press. 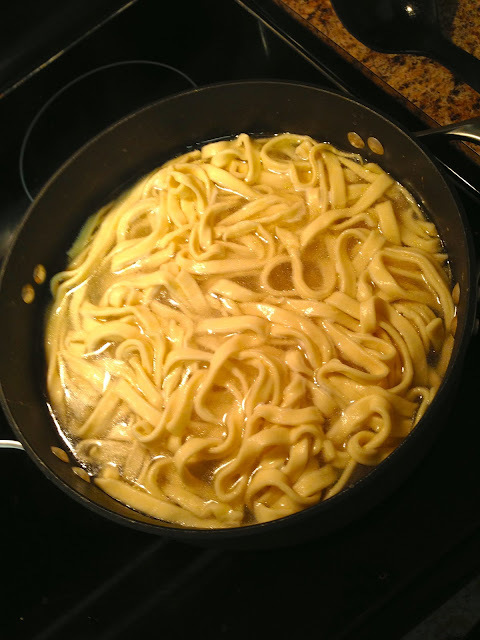 We made the dough then flattened it a few times before cutting it into noodles. The noodles were boiled up then topped with bolognese sauce and parmesan cheese, of course! 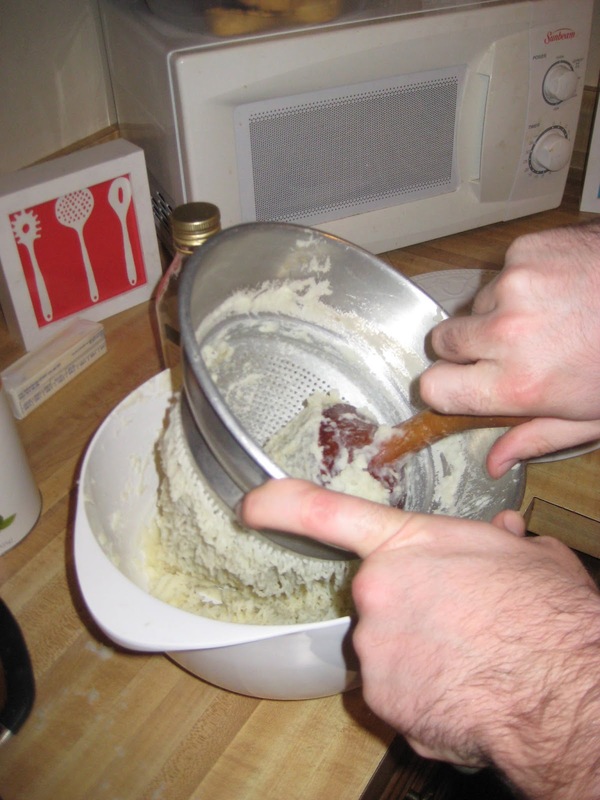 The other fun thing I did recently was use this sieve to make mashed potatoes. She used to pride herself on having NO LUMPS in her potatoes! As the one who loves mashed potatoes more than the entire rest of the family combined, I inherited this after she passed away. It actually belonged to her mother first, then she owned it, now it's mine. Also mine? The cute guy attached to those potato-mashing hands. Swoon. Well at first I thought, "Lindsay needs to shave her arms." So glad they are his. And so glad he cooks!